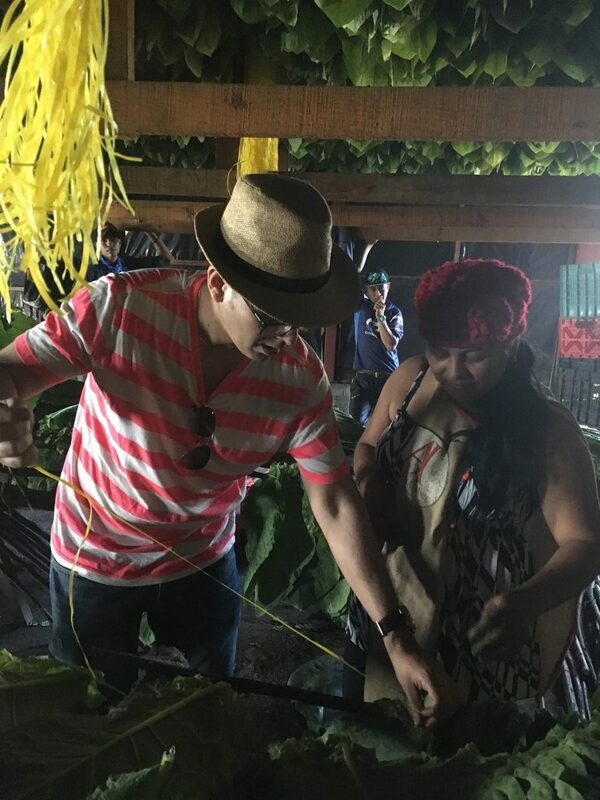 There are four fundamental regions in Nicaragua where cigars are grown or produced. The main spot is Estelí Valley, known today as the modern global hub of tobacco. It is here where most factories are located. The soil of this area is clayey and the tobacco sweet with earthy and spicy notes. 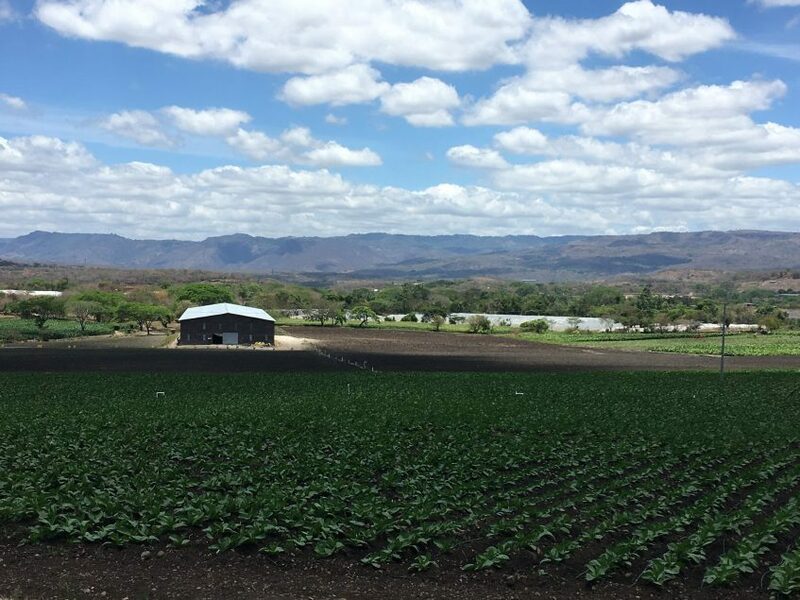 Jalapa, which means place of sandy water and is located next to the border with Honduras, is where most of the tobacco is grown. The tobacco here has soft flavor with sweet notes and a very good combustion. 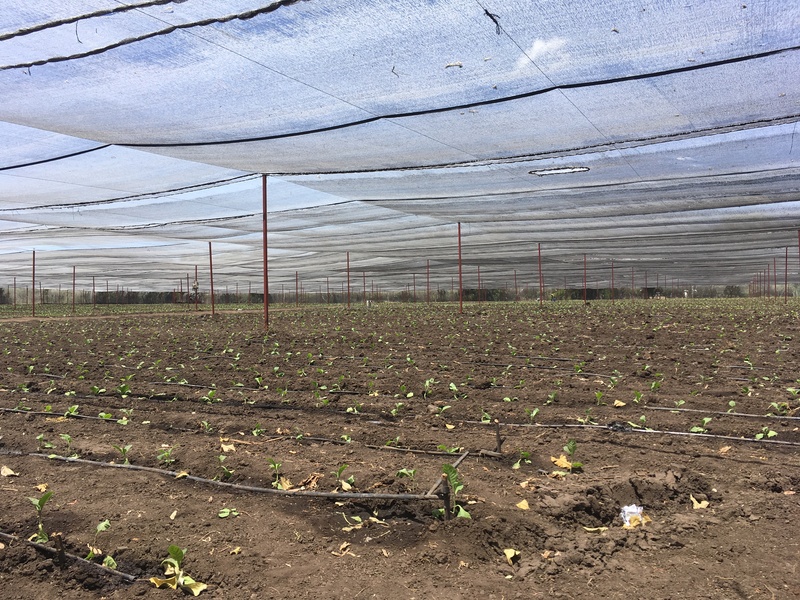 Condega Valley, located between Esteli and Jalapa, is the third region harvesting tobacco in Nicaragua. The tobacco grown here has a good combustion and moderate flavor. The other main region is Ometepe island, located in the Lake of Nicaragua, and formed by two dramatic volcanoes. This variety of tobacco, mixed with the art and experience of master blenders and rollers, make Nicaraguan cigars a very tasty product. In addition, many manufacturers are aware of the challenge imposed on them by a consumer eager for novelty at the same time as the traditional. They are constantly experimenting and aiming to create new and exquisite recipes. Therefore, and responding to the growing demand for their products, they have also decided to use tobacco from other nations such as Mexico, Ecuador, Cameroon, and the United States. These globally sourced tobaccos when mixed with Nicaraguan tobacco result in a product that is often capable of transporting the customer to areas of unexplored pleasure and enjoyment. 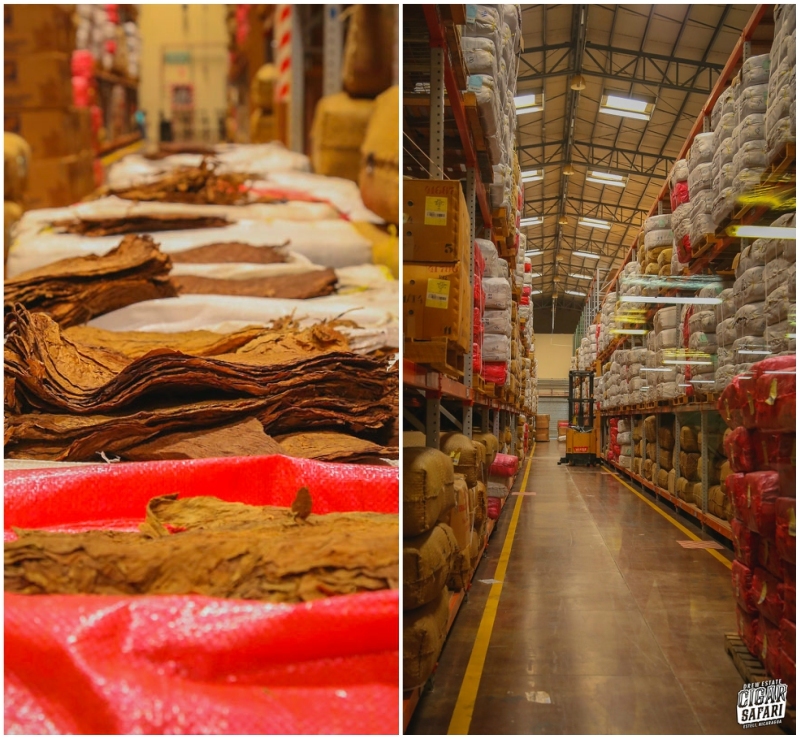 This philosophy has allowed several factories such as Joya, Drew Estate and AJ Fernández to stock-up with enough tobacco to sustain an uninterrupted production of three to five years. So, if Nicaragua was hit by catastrophes such as cyclones, eruptions of volcanoes, or plagues, the crops will obviously be affected, but we will be still able to enjoy their stogies. After visiting Joya de Nicaragua factory, we toured La Gran Fabrica Drew Estate, another project that has been contributing to the young history of premium cigar production in Nicaragua. The dream and aspirations of Jonathan Drew to renew tobacco production when he landed in Nicaragua in 1998 - today is a reality. La Gran Fabrica Drew Estate is the largest cigar factory in Nicaragua and one of the five largest premium cigar factories in the world, with over 96,000 sq. feet. It's also the most modern facility of its kind in the world and employs more than 800 artisans that create a great combination of tradition and experimentation. In this factory are the production of ACID cigars, the lines Undercrown, Liga Privada No. 9, Liga Privada T52, Liga Privada Unico Serie, Nica Rustica, Nuwat, Kentucky Fired Cured, Herrera Esteli, Herrera Esteli Norteno, among others. 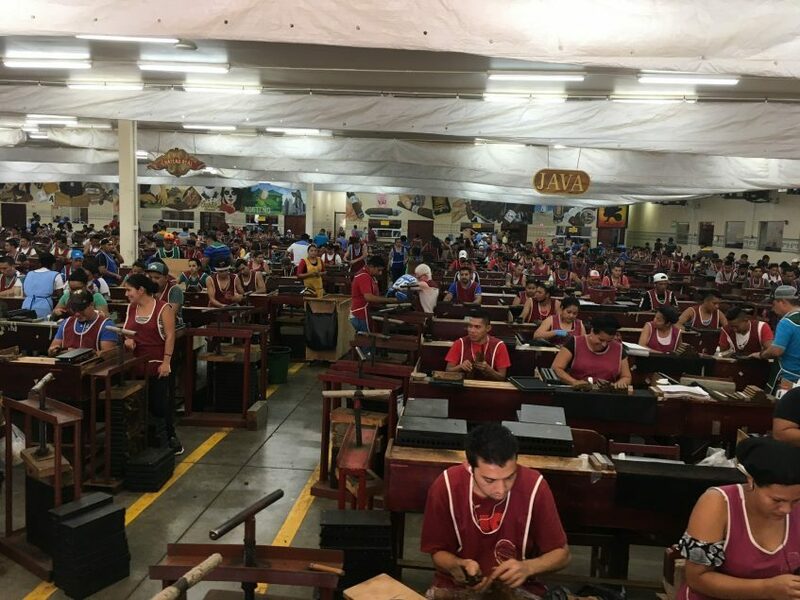 Every year Drew Estate host up to 40 Cigar safaris, in which cigar aficionados can visit this impressive factory and witness the first-hand knowledge, the expertise and the master work of all the people involved in the manufacture of cigars. As in the streets of Esteli and Joya de Nicaragua factory, here the art is one of the main protagonist. Painting and murals give life to the walls of this stunning infrastructure, and make this place to look unique, so Drew Estate. Drew Estate FactoryDuring our visit to La Gran Fabrica, we witnessed in more details the fermentation, moistening, airing, sorting and pressing processes. The warehouse was full of tercios and pacas, in which the wrappers and fillers are aged. Once inside the rolling room, all you can hear is the sound of the chavetas (blades) hitting the tablas (wooden board), and see the workers smiling. This room is so wide and immense that your eyes can not capture all the space in the same plane, and you need to turn your eyes towards all directions to be able to capture its immensity. During this visit we had another cigar blending session. We were introduced to a few of the many different black tobaccos available to create our own one of a kind blend. There was tobacco from Nicaragua, Brazil, Dominican Republic, Mexico, Ecuador, United States and Indonesia. Based on the information on the country of origin, historical notes, and a few interesting facts regarding their cultivation, harvesting and curing, with the guidance of the hosts, we had the opportunity to choose from a vast selection of very fine leaves to make our personal blend. I personally wanted a full-bodied blend presented in the Toro. For the wrapper I picked Capa Connecticut (C. T) Habano, one of Drew Estate’s priced wrappers, and specially grown for them in Enfield, C.T. It’s a very rich and spicy leaf with considerable strength and dark colour. I decided for the same tobacco for the binder as I was advised that would improve the overall strength of the blend. The filler was a combination of five different tobaccos: Seco Ometepe, Viso Drew Estate Jalapa (naturally sweet and with a delicious aroma); Viso Ometepe; the very prized Ligero ASP Esteli due to its aroma and strength; and Ligero Ometepe. The result of my choice was a very strong blend that would set my nose and palate on fire, so these big stogies are still resting in my humidor to wait for the flavours to settle more and the strength to mellow a little. Our last stop in Esteli was the beautiful plantations of AJ Fernandez and his factory. His cigars and experience as a blender are rooted back in the San Luis area of Pinar del Rio, one of the blessed zones where for many years has been growing tobacco of the highest quality. Abdel J. Fernandez inherited his passion for cigars from his grandfather and father Ismael. Being a teenager, he used to spend considerable time at a tobacco farm called La China, where he learned to love and take care of the tobacco leaves. In 2003, AJ fled Cuba and settled down in Nicaragua, where he started a very small project with just 6 rollers to make cigars for other names like Rocky Patel and Cigars International. 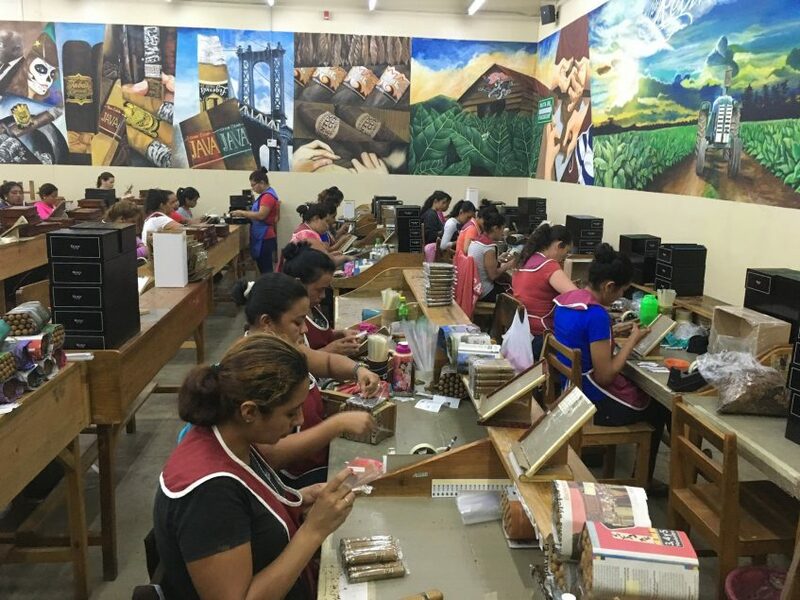 What started as a feeble facility has evolved into one of the biggest factories in Nicaragua, producing more than nine million cigars a year. Amongst his employees AJ is known as a restless manager, always present in the plantations and the factory, looking after every single step of the cigar making process.  AJ’s portfolio is constantly expanding and includes many of the highest rated cigars like Enclave, New World, Bellas Artes, and San Lotano, some of which we had the pleasure to taste. When we arrived in the plantations the farmers were carrying on the first priming, the harvest of the leaves closest to the ground. After Mario, our guide in AJ Fernandez, introduced us to this task we had the chance to perform our first priming of a tobacco plant. Then Mario took us to a curing barn, a few meters from the crops. Over there, women were sewing the tobacco leaves in pairs and hanging them astride poles which were placed on rasks. They were doing it so quickly and with a master skill. This seems to be an easy task, but you must be careful not to damage or break the leaves. We also had our share of work here with the guidance of the vegueros. After this, we went to another area of the estate to see the seedlings. They had left the seedbeds and been planted out in a very loose soil. 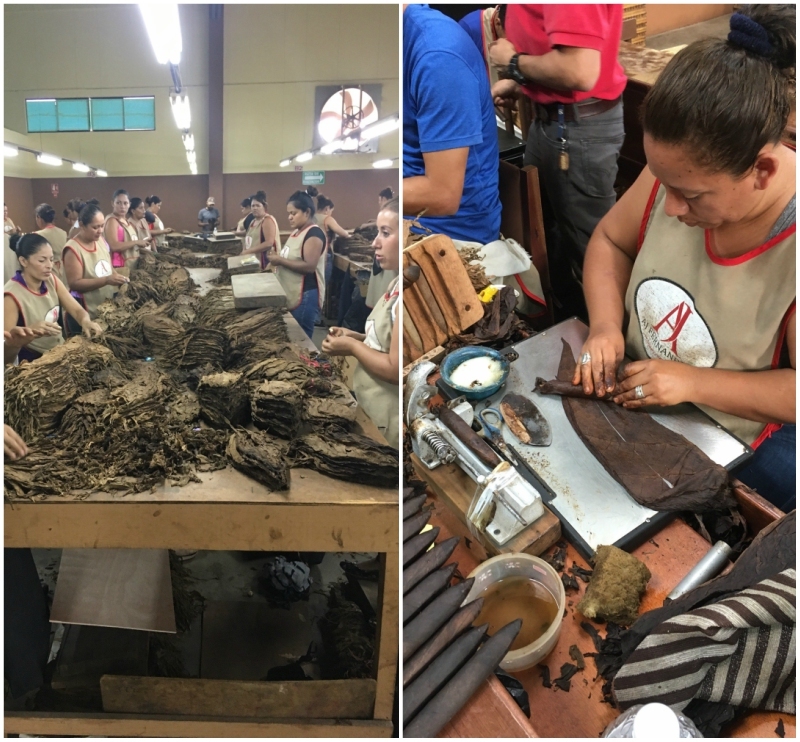 We ended up in the factory going through the whole process of making cigars: fermentation, stripping (removal of the main vein or stem), the hand rolling in the workshop, the finishing and packing. Tobacco is the “rice and beans” of thousands of families in Nicaragua. About 40 000 people work in this flourishing industry. I’ve never seen such big passion and pride in people involved in this industry, from the farmers to the rollers and the ones responsible for the crafting of boxes and labels. All the local people I talked to commented on the huge impact of this industry in Nicaragua - especially in Esteli. 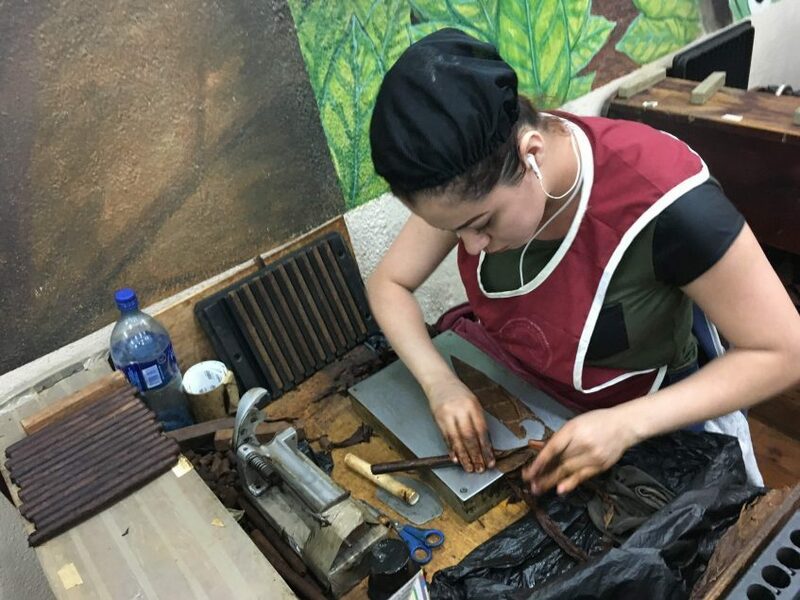 We witnessed how some of these companies producing premium cigars in this region care about the communities where they are based and to which their workers belong to. For example, Drew Estates offers the workers free transport and they also have a medical surgery on the premises. AJ Fernandez has the same medical facility plus another sort of nursery / kindergarten where children are looked after while their parents are working in the factory. The most touching and heartwarming experience we had was our visit to the primary school “Belen”. Eighty-five children receive education in this school thanks to the internships program offered by Joya de Nicaragua. A thousand and three hundred children attend this school, staffed with 43 teachers and run by Fe y Alegria, a catholic organization that works in bringing education to the poorest and most marginalized populations in Nicaragua and other countries of Central America like Guatemala and Honduras. Many of these children come from disintegrated families. Some of them live with their grandparents as their parents fled the country pursuing better opportunities to make money in countries like Costa Rica and United States. Hard to believe that a child facing off this scenario could be happy, but all what we saw in this institution was smiley faces, strong spirits taking advantage of the opportunity that life is giving them to find a future way to reverse the impoverish reality that they’re currently living in. Fe y Alegria has in place a program called NATRAS, for children who can’t attend school full time because they must work to support their families. 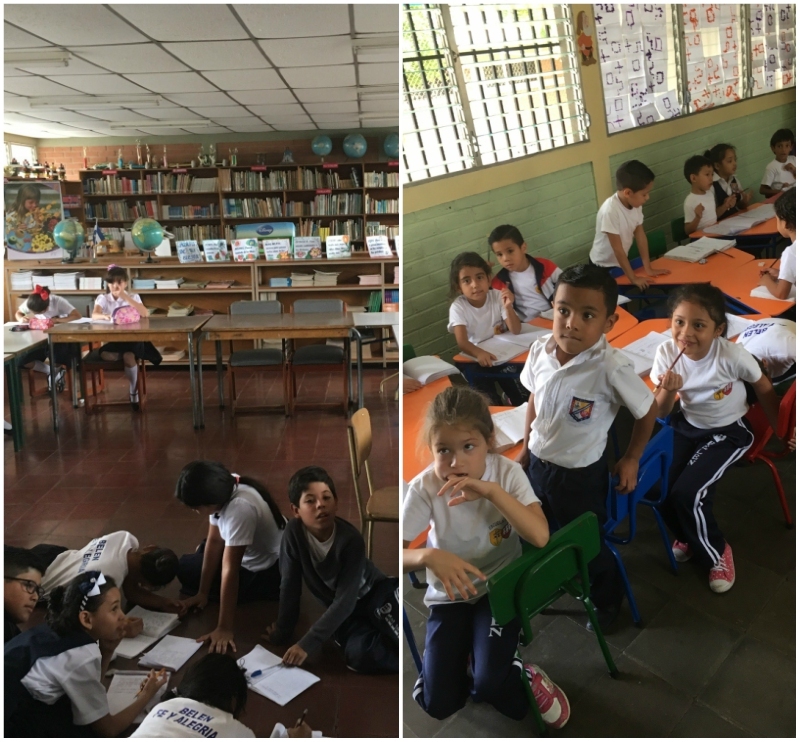 Every day, these kids come to school to have lunch and during this time they have a teacher who helps them to achieve a primary degree certificate recognized by the Ministry of Education of Nicaragua. They also have workshops where they can develop skills and abilities like arts and crafts, sewing and computer science. After all the learning tour, we had some sightseeing of this wonderful country. 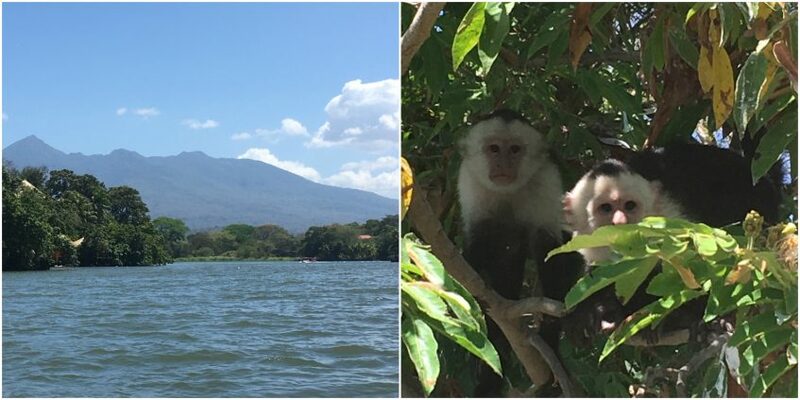 We took a boat tour on Lake Nicaragua to explore further the unique beauty of this country. With an area of 8,264 sq km, this is the largest lake in Central America and the 19th largest in the world. More than 40 rivers drain into the lake, in which there are more than 400 islands home to exotic and tropical vegetation and wildlife. As Nicaragua is a volcanic country and this geological condition has an impact on the soil and the flavour of the tobacco grown in the country, we ended up visiting the Masaya Volcano, one of the main tourist attractions of the country. As our visit happened in the afternoon, we hardly could see the active lava, plus there was a lot of smoke clouding the sight. I still think of that trip with nostalgia. It was a wonderfully eventful week in which we were imbued with cigars and creole culture. A once in a life time opportunity learning about the cigar industry, tasting different brands, and soaking myself with the human warmth of Nicaraguan people and its culture. I hope that the nation will be wise enough to overcome the tough internal political crisis they’ve being facing in the last months and the country proudly returns to be one of the most peaceful nations of Latin America.